I didn’t know which should concern me more—that I’d just gotten into a car with a strange man I’d found on the street who didn’t speak any language I did or that the talismans hanging from his rear view mirror ranged from a stuffed leprechaun to an icon of Jesus. But he had parked right in front of my friend’s flat, seemed to know my name and my destination for the day, and had answered to the name Boris (though 25% of the male population of Chisinau might do the same). In any case, I decided he must be the person sent by Marisha (an independent guide in Moldova) to take me to Milestii Mici. Whatever his personal faith and beliefs, the icon of Jesus didn’t surprise me too much in this heavily Orthodox country. But I’m sure there had to be a story behind the Irish leprechaun hanging in the car of this Russian-speaking man in Moldova. And I’ll bet Boris could tell the story with great charm and personality—he was that sort of guy. Unfortunately, his few words of German and English and my few words of Russian didn’t take us too far conversationally, though it was lively and punctuated with big smiles. Especially when he explained the short cut he was taking as we bumped over an unpaved village street. 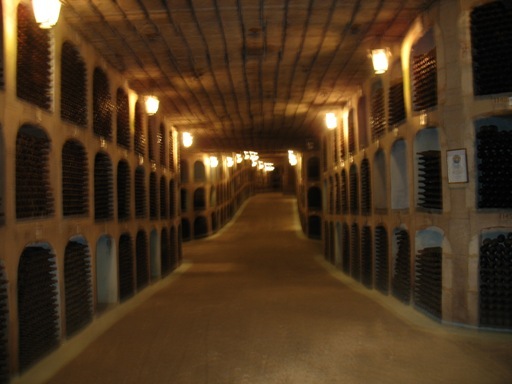 Milestii Mici is an underground wine cellar so vast that all tours are done by car. In total it has 200 kilometers of “streets” named after different grapes, with about 55 kilometers currently being used for storage. As we drove down Cabernet Lane, the tour guide explained that in Soviet times, this had been the “collective” cellar used to store wines produced all over Moldova. 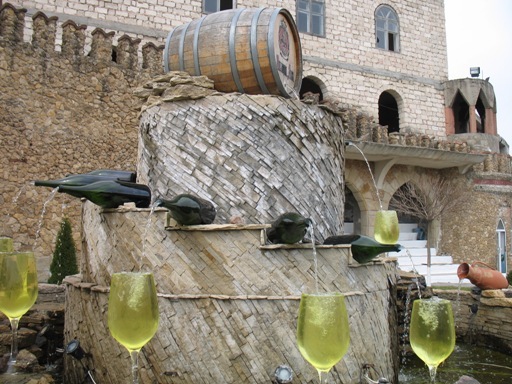 Now Milestii Mici grows its own grapes and produces its own wines. They’ve been recognized in the Guinness Book of World Records for having the largest collection of wine in the world…and their collection has grown since then. Milestii Mici even has some clandestine history. During a Prohibition-like time in the Soviet Union under Gorbachev, part of the extensive wine collection was hidden behind secret doors so it wouldn’t get confiscated and destroyed. The rich history was probably better than the wine I tasted there. 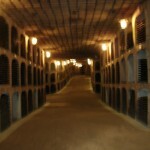 (Oddly, my guide seemed surprised that I wanted to taste wine. 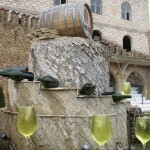 Admittedly, it’s more fun to taste wine with friends, but I wasn’t about to pass it up just because I was on my own.) But they made a red champagne I’d tried with friends in Chisinau, so I did walk out of there with a couple bottles in my arms. Moldova is known for its excellent wines, but I only got a taste. I guess my next visit needs to be in the month of October for the annual wine festival!